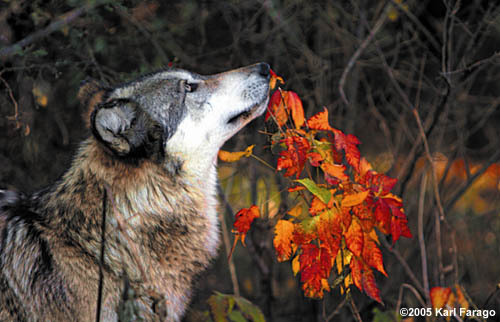 Fall brings brilliant color to the forest and changes to the wolf. Its coat thickens as the woolly underfur fills in to provide warm insulation, and the pack's hunting prowess sharpens in preparation for winter. Pups born in spring are old enough by this time to join the hunt, although they are rarely very effective at this early age.